Over the past few months I've been volunteering my free time to a new independent games studio called Freakout Games. I've been doing quality assurance for them on their latest Android titles. and the Amazon App Store. "Dodge, fly, fire and have fun with Dragon!! Enter the world of Freaky Dragon where you get to fly through many challenges! An endless runner game with lot of adventure, fun and action. Players have to dodge many obstacles by firing at barriers and enemies while collecting golden eggs for more points and extra lives. 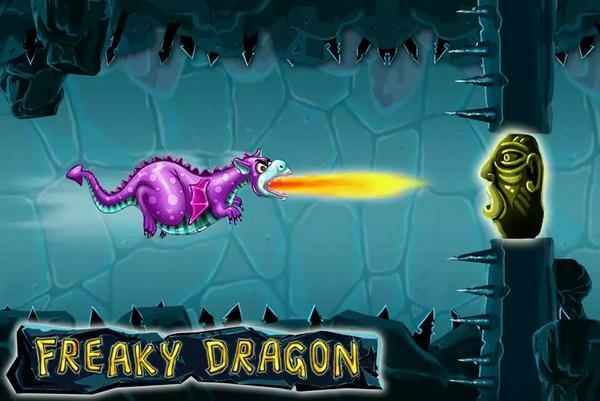 Freaky Dragon is a runner game with lots of adventure, speed and action. Fly through boulders, arrows, cannon etc and try to escape."